Lubor On Tech: How Come Fax Isn't Dead? When was the last time you sent a fax? I bet your answer is probably going to suggest that you don’t use fax machines much anymore. Yet the statistics are surprising. 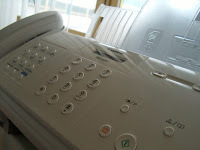 According to the industry analysts Davidson Consulting, there are almost 100 billion faxes sent each year worldwide. CouponChilli estimates a smaller number - 17 billion faxes annually - but either way, it is still a lot. The market for fax services is growing at impressive 15.2% CAGR as new technologies such as Fax over IP and cloud-based fax are dramatically reducing the the cost of faxing. But let’s face it - fax? In the age of email, interactive web sites, and omnipresent mobile devices? There are so many alternatives - from email, FTP, managed file transfer, to interactive web sites, sophisticated BPM solutions and most recently even the easy-to-use cloud-based shared folders. How come we are still using faxes so much? One of the arguments is usually the legality of the “wet signature”. Supposedly, our legal system is perfectly satisfied with an illegible scribble transmitted at 204×98 dpi but an electronic or digital signature on an electronic document is not good enough. I’d argue that’s a bogus argument - after all, a digital signature can use a much stronger authentication of the signatory which should make the digital signature much more legally binding. Only when notarized, do wet signatures come close in terms of security and legal admissibility. Another argument is the confirmation that you get when you send a fax. That fax confirmation page (sometimes called the Transmission Verification Report) can act as legal proof that the recipient actually received the fax. That might come handy, for instance, when you fax an invoice. However, it also assumes that the right person has actually picked up the received fax and that it didn’t end up in the waste bin by accident. This argument is also not very convincing. Electronic transmissions via email, ftp, managed file transfer, or shared folder usually all come with an audit trail. There is also no reason why an email system could not be setup to automatically send a confirmation - most e-commerce and customer service solutions do it today. A secure audit trail should be a much better proof of delivery than the easily falsifiable fax transmission report. Then there is the cultural argument. We are all used to faxing, right? The New York Times reported recently that this is a big issue in Japan. Japan has by far the highest number of fax machines per capita. But give me a break. Japan is a country with thousands of years of tradition - from Zen gardens to calligraphy to the sword swinging samurai. And all the sudden, they are culturally attached to a fax? Or a technology that was adopted at the end of the 1980s? Ah, come on! I suspect that the reason is complacency. Complacency of organizations in banking, insurance, healthcare, government and other sectors. The Customer Service group would probably like to replace faxes but they are scared of Legal. The Legal group is scared of technology. And, IT does what Customer Services asks them to do after checking with Legal. In a way, this is actually about culture. But not in a good way. Picture from the 1999 cult movie Office Space. I'm sure it's copyrighted but it fits so well here. You have to see it, by the way! (That should get me off the hook with 20th Century Fox). But don’t despair, if you need a fax solution, you don’t need a fax machine on every floor anymore. There are some pretty cool network and cloud-based fax systems out there and OpenText (my employer) happens to be the market leader in this space. Just check out that Davidson Consulting page. Thank you for your thoughts on Fax communication in 2013 (!). I have to be honest, when I started working for RightFax almost 17 years ago, I expected fax communications to fade with SMTP available for anyone, for free. However I changed my mind as I have witnessed many organizations searching for alternatives to Fax, but having troubles finding one that would be accepted by their business relations and, yes, legal. SMTP without any special adjustments remains the equivalent of sending a postcard over the postal services. Open to read for anyone who makes a little effort. The true strength of Fax is that it is an proven point to point real-time communication available at every office, instantly confirmed with a delivery report. Most important there is no 3rd party involved except for the telecom infrastructure, but the data is never at rest. The death of the fax machine is however happening fast. Think about consolidation of printer and scan devices to Multi-function devices, and LanFax solutions that enable sending/receiving faxes from the desktop. Consolidating global telephony to Telephony in the cloud. As OpenText we do not change the T.30 protocol itself, we allow faxing to maintain possible in this ever changing world (Fax over IP) and we improve the fax process itself. We improve what happens before and after a fax was successfully exchanged between to Fax devices. Once a document has been send, the document becomes a company record. (another company has proof of you receiving the document), simply trusting an end-user archiving a fax document properly and proving document content remained confidential is simply NOT possible with paper. RightFax provides out of the box connectivity to most BPM and DMS systems in the market, turning this awkward image into a fully searchable, auditable, digital document that can take its place in your digital document processes. Still I believe Fax (point to point real-time connection) is here to stay for some time still. Just because Fax still is Easy-Easy. I think that fax is actually quite dead. It is just a matter of time when it will finally die. As a consumer, I happen to belong to those folks who still got a fax number (and as usual, it belongs to an online faxing service). However, the last time when I received a fax was in 2011. And before that, I received a fax in ... I think it was 2009. Sending faxes is something that I used to do more frequently in former times. However, each time I sent a fax to a company or government agency, I received a reply by either snail mail or by e-mail even though I use to include my fax number on my letterhead. The last time I sent a fax was in 2012. The widespread use of fax servers and online faxing services has caused an increasing number of fax users to use email as a fax replacement. Just scan it in and email it. To the receiving end, it makes no difference - the message will probably go to the same inbox anyway. And for the sending side, it just makes things easier - they no longer need an online fax service but just an email account. For those who still prefer to use a real fax machine, there are document scanners that can send documents by email. Actually, email scanners are an improvement over the old fax system because they let you send documents to anybody who's got email - and not just those who have subscribed to a fax service. Wait a few years, and fax will be as dead as X.400, UUCP, Telex and operator-assisted phone calls. 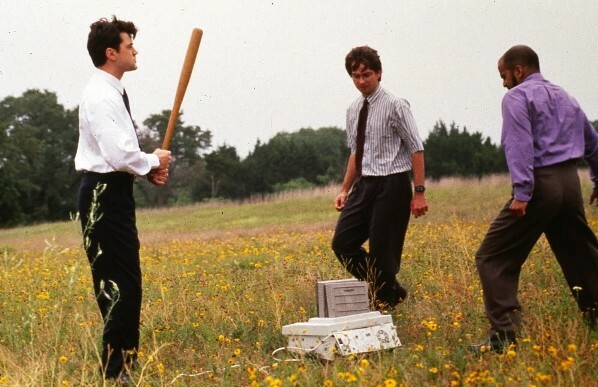 I'll remove my fax number from my email signature today. Nobody is going to use it anyway. Their service seems more in tune with modern times.